PhotoScape is an one of the best free photo editor allows users to edit images without any technical skills. The software includes various effects, brushes, filters, frames and more. 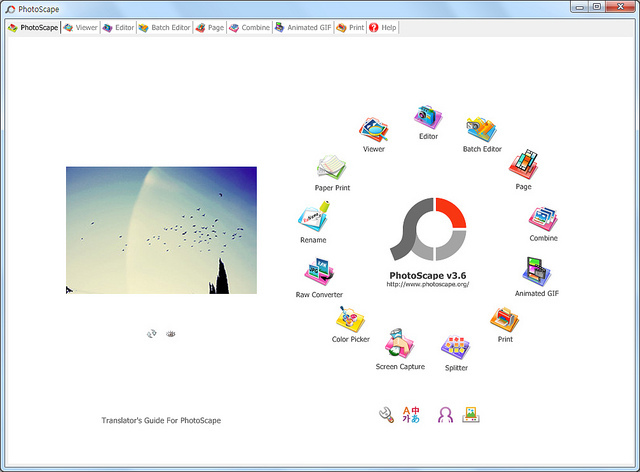 Now the company released new version of PhotoScape 3.6.5 for Windows desktop users. Critical Filter bugs fixed: We fixed strange triangular graphical bugs in the filters of Sharpen, Blur and Bloom.